Affordable Weddings of Daytona, Inc. THIS IS A SECURE FORM USING TOP LEVEL MILITARY ENCRYPTION. YOU HAVE AGREED TO OUR TERMS & CONDITIONS, REPEATED BELOW, BY SUBMITTING THIS RESERVATION FORM. DEPOSIT REQUIRED - SEE PAYMENT SECTION BELOW. Please complete ALL Applicable fields. WEDDING DETAILS: Please indicate below the Day of Week, Date AND TIME for your wedding. If NEITHER of the dates and times you indicate below is available, we will contact you before proceeding further to see how else we can accommodate you. Additional Copies Photo Slide Show DVD $25 ea. plus $8 tax/shipping/handling. How many DVDs? Setup of (up to 24) White Resin Chairs $3 ea. Setup of (up to 24) Organza Chair Sashes (choose white, blue or purple) $2 ea. ORDER TOTAL: *If you are not sure of the correct total, call 386-756-1244 and we'll be glad to help. Any adjustments can always be made in the final balance. (Sales tax of 6.5% added to tangible items such as photos, garter, pillow, etc. COMMENTS: Type your comments here. If this is a vow renewal, please state "VOW RENEWAL" and number of years married. PAY BY EITHER CREDIT/DEBIT CARD OR BY PERSONAL CHECK. PLEASE COMPLETE ALL FIELDS IN THE APPROPRIATE PAYMENT SECTION BELOW FOR YOUR METHOD OF PAYMENT. A NONREFUNDABLE DEPOSIT IS REQUIRED to guarantee your date and time. You may, at your option, choose to pay more than the minimum deposit up to the full amount due in advance if you prefer. Minimum Deposit: #4-Royal Wedding $300; #3-Eternal Unity $200; #2-Sweet Memories $200; #1-Intimate Affair $100; Officiant Only $75. Biker Weddings: #3-Whole Hog $300; #2-Hog Wild $200; #1-Sweet & Simple $100. Credit card transactions via our SECURE form on the Internet are actually more secure than giving your credit card to a waiter at your local restaurant. We use the highest level of military encryption. However, if you still do not feel comfortable entering a credit card number on our SECURE order form, you may call 386-756-1244 with your credit card info, or click on the link at top of this form to print out a printer-friendly reservation form, complete, sign and mail your reservation form. Type of Credit Card (required) - Is it a Visa, Mastercard or Discover? DIGITAL SIGNATURE: By submitting this form I, (type in Authorizer's Name as digital signature) hereby authorize Affordable Weddings to charge (*at least minimum deposit) to the credit card listed above to guarantee my wedding date and time. I agree to pay any balance due by credit card or check no later than 10 days before the wedding, or IN CASH when the officiant arrives to perform the wedding. 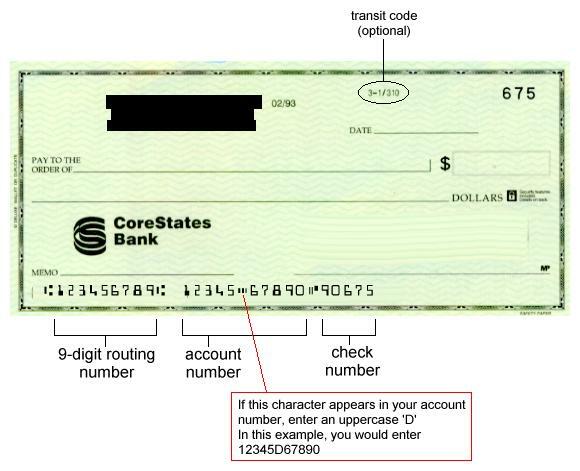 You can pay by check without actually having to mail it physically, just take a check out of your book and enter its details below. If you have any questions, please let us know. DIGITAL SIGNATURE: By submitting this form I, (type in Authorizer's Name as digital signature) authorize Affordable Weddings to withdraw (*at least minimum deposit) from my checking account to guarantee my wedding date and time. I agree to pay any balance due by credit card or check no later than 10 days before the wedding, or IN CASH when the officiant arrives to perform the wedding. PLEASE READ ALL OF THE FOLLOWING TERMS AND CONDITIONS BEFORE SUBMITTING YOUR WEDDING RESERVATION. IF YOU HAVE ALREADY READ THEM ON THE PREVIOUS PAGE, THEN JUST HIT "I AGREE. SUBMIT RESERVATION" BELOW. You must agree to these terms and conditions to continue with the reservation process. Clicking on the "SUBMIT" button below signifies that you have read and do agree to ALL Terms and Conditions stated herein. Initial Payment: To secure and hold your wedding time and date, a minimum nonrefundable deposit (credited toward the total amount due) must be paid as follows: Officiant only: $75; Wedding 1- Intimate Affair: $100; Wedding 2 - Sweet Memories: $200; Wedding 3 - Eternal Unity: $200; Wedding 4 - Royal Wedding: $300 deposit; Biker Wedding 1 - Sweet & Simple: $100; Biker Wedding 2 - Hog Wild: $200; Biker Wedding 3 - Whole Hog: $300. The minimum deposit is also shown at the bottom of the web page for each wedding. We accept MasterCard, Visa, virtual checks, cashier's checks, traveler's checks, personal checks, money orders and cash. Payments made by credit or debit card, money order or personal check must be received at least 1 week prior to your wedding date. If you want to be married in less than 2 weeks, please call 386-756-1244 for availability and payment arrangements. Payment of Balance: To pay your remaining balance by credit or debit card or check, it must be processed no later than 1 week prior to your wedding date. Any remaining balance not paid at least 1 week before the wedding must be paid IN CASH ONLY BEFORE THE WEDDING BEGINS. Cancellation: If you decide to cancel your wedding after the deposit has been received and the date and time guaranteed, the minimum deposit is nonrefundable because we have guaranteed your time and date and therefore it has been unavailable to others. If you have paid the entire balance in advance, all but the minimum deposit will be refunded if you give a minimum of ten (10) days' cancellation notice before the scheduled wedding date. One-time Reschedule Option: If at least ten (10) days' notice is given, you may, at your option, reschedule your wedding once within a year from the original wedding date with no charge or penalty, and any amounts already paid will be fully applied. Wedding Services: What is included in each wedding package is clearly listed on that package's web page. If it isn't listed there, then it is NOT included. Our wedding services are heavily discounted for your benefit, so there can be no credits or substitutions if you decide not to use all the options that come with the wedding you choose. Our Photography Services: Our wedding photography has an excellent reputation, and examples are available in our office as well as on our two websites under "Photo Gallery". All wedding photography is done by experienced photographers with professional state-of-the-art digital cameras and equipment. You may request that certain poses be included in your photo shoot. Our photography includes photographing the wedding ceremony and a formal photo shoot immediately afterward at the wedding site. (There is an additional charge of $100 per hour for shooting at any other location and for photographing the reception. If you will be in the Daytona area for a week or longer after the photo shoot, we will try to have your DVD ready to pick up before you leave. If not, we will mail it. Then you simply choose the photos you want printed and submit them via our online Photo Order Form. Inclement Weather: If your wedding will be outdoors, it is your responsibility to have a backup plan in place in the rare instance of inclement weather. Inclement weather includes but is not limited to just a rain shower. If there is the threat of lightening, anticipated thunderstorms or other dangerous weather conditions, the wedding MUST be moved to a safe location for your protection as well as your guests. If you are planning a reception, you may be able to arrange to have the wedding at your reception venue as a backup plan. You will also have the option to reschedule your wedding once (like within the next day or so) if you prefer. In the rare instance of a hurricane warning issued for our area in Volusia County, you may at your option either 1) reschedule your wedding date/time within a year of the original wedding date or 2) request a full refund. Damage Liability: The wedding couple assume full liability for any property damage done by themselves or their guests before, during or after the wedding, and agree to reimburse property owner for such damage. Unity Candles: Extreme care must be taken when handling the Unity candles. The wedding couple assumes all liability for any mishaps related to their use of these candles. Candles are not provided for beach weddings because of the constant breeze; however we offer two other unity ceremonies, the Hawaiian Sand Ceremony and the Rose Ceremony, which can be performed on the beach or anywhere. Wedding Music: Wedding music is available for all weddings - traditional, romantic pop, country, classical, R&B, Christian, or any other selections you may choose. You are welcome to provide your own music in lieu of or in addition to the music we provide. Any music you provide must be received by Affordable Weddings at least 2 days in advance of your wedding day in mp3 format. You may also hire live musicians and singers to perform during your ceremony. For beach weddings, some couples prefer the natural sound of the surf rather than music. We use an amplifier, but it can still be difficult at times to hear music over the ocean's roar, especially when it is windy. The beach environment can also affect electronic equipment – wind, sand, fog and humidity can occasionally cause problems beyond our control. We do our very best under challenging conditions. Rehearsal: There is NO additional charge for briefly rehearsing at the wedding site just before the wedding starts, or rehearsing at our office any available date & time. There is an additional $100 charge for time and travel for a separate rehearsal at the wedding site at any other time. If you want a rehearsal, please contact our office and schedule it well in advance. Late Start: Your wedding has been given a specific time slot. Other wedding couples may be dependent upon your wedding starting at the specified time so that their wedding may be timely as well. We have agreed to provide services to you at the specified time. Your guests also should rightly expect that the wedding will start on time. Therefore, a late fee will necessarily be charged for any wedding that does not start within 30 minutes of the specified time. Over 30 minutes late will be assessed a $25 fee; over 45 minutes or later $50, and any wedding that has not begun within 1 hour after the scheduled time may be cancelled with no refund, at the officiant's discretion. Copyright © 2001-2018 Affordable Weddings of Daytona, Inc.. All rights reserved.